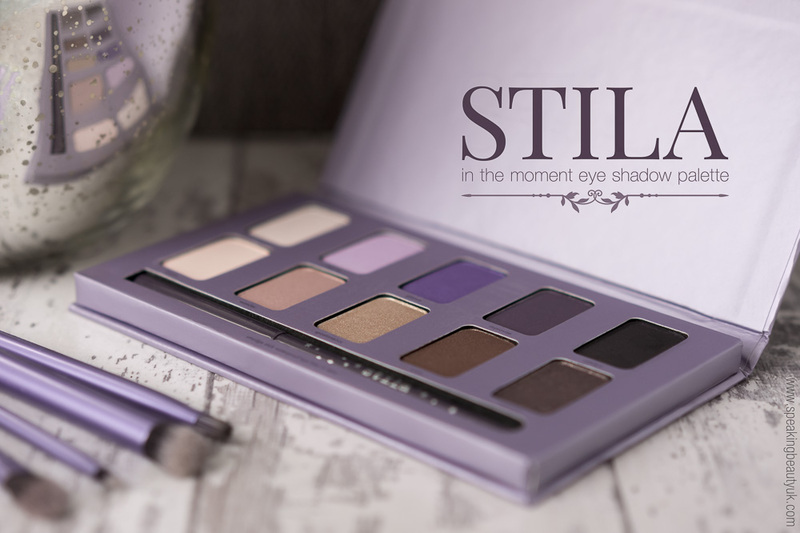 I found the stunning Stila In The Moment Eyeshadow Palette in one of my frequent trips to my local TKMaxx. 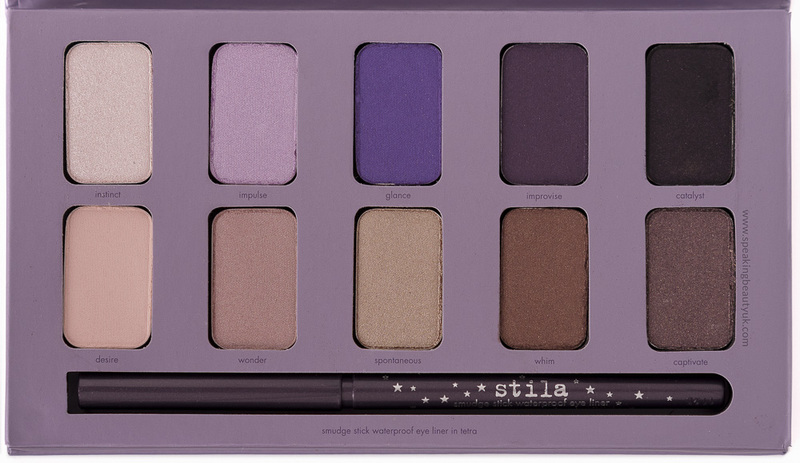 I had never tried anything from Stila before but couldn't resist the beautiful mixture of purples and neutral colours. Not to mention the reduced price (from £25 to only £9.99). Bargain, right? The purple hues really attracted me as it's a colour I lack in my collection and that also looks good with my brown eyes. This palette has 10 eyeshadows, of which 6 are shimmery, 2 mattes and 2 sort of matte with purple bits of glitter in it. 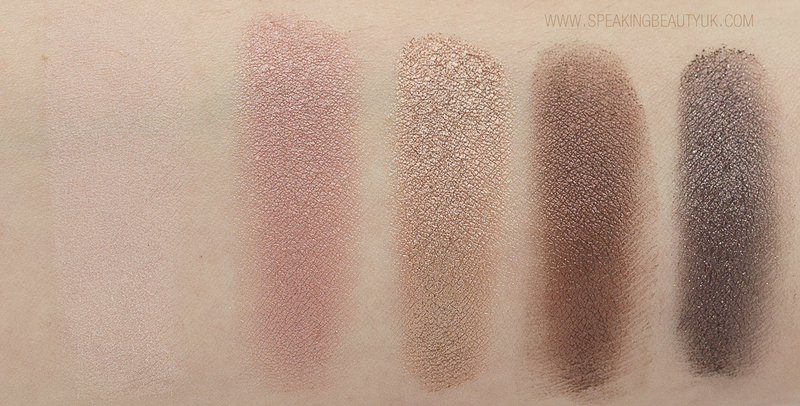 I love the shade selection and the pigmentation of the eyeshadows (some more than others). However, I missed having one more matte shadow, something like a soft brown for the crease, to make this palette complete. 1. Instinct is a lovely champagne colour. Works beautifully on the brow bone, tear duct, centre of the lid and also as a cheek highlighter. So pigmented! 2. Impulse is a shimmery lilac shade. A bit on the sheer side. 3. Glance is probably the shade that made me want this palette. Beautiful bright purple, but quite sheer as well, which I actually like as it gives me more control and doesn't look scary on the lid. In fact, it's very wearable, as you can see on the final image of an eye look I created with this palette. 4. Improvise is a very deep purply, with tiny bits of glitter to it. 5. Catalyst is a very deep purple, that looks pretty much black. 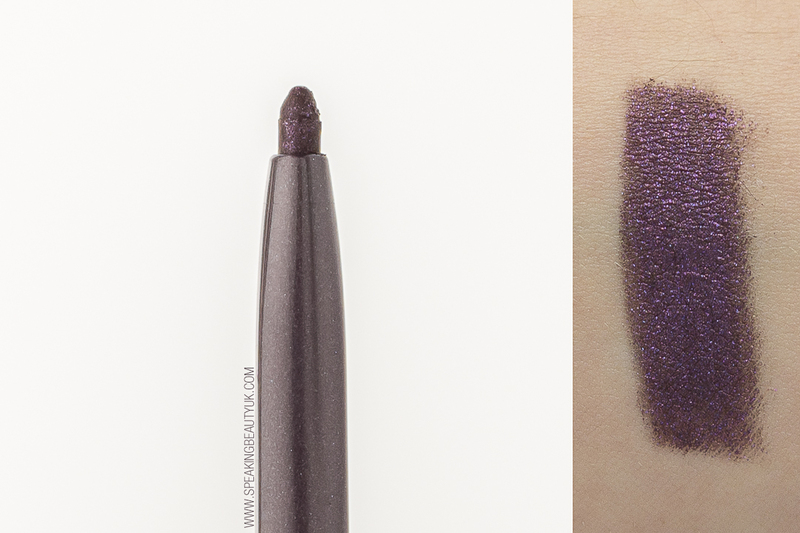 This one also has purple specks of glitter in it, which you can barely see once applied. 1. Desire is a flesh tone matte eyeshadow. Great all over the lid to prep it for other eyeshadows or as a light transition shade. 3. Spontaneous is a pure gold. I'd say more like an antique gold. Simply stunning. 4. Whim is the most gorgeous rusty brown. It's one of my favourite shades in this palette. 5. Captivate is a purply brown with lots of glitter. Stunning! The nice thing about this palette is it also comes with a beautiful and sparkly purple eyeliner, called in the shade Tetra. I really like it. It's pretty and fairly long lasting (waterproof). 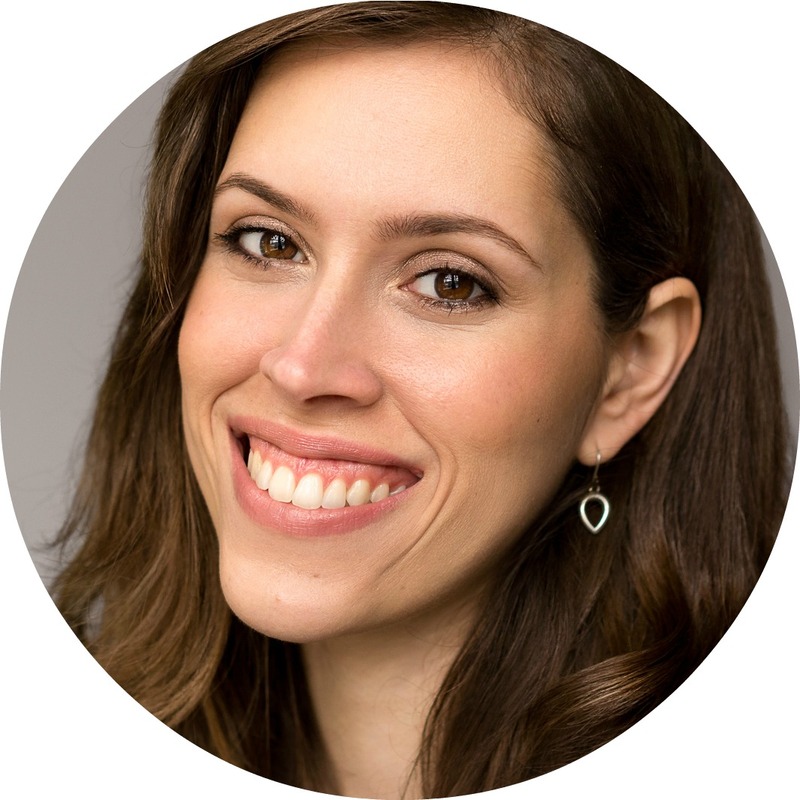 It's not too intense, allowing it to work really well for both daytime and night time looks. The packaging is made of cardboard but it's got a nice quality to it. It's slim and compact enough to take on the go. The only downside is it doesn't have a mirror. Overall, this is an amazing find and I highly recommend picking it up, especially if you can get it in TKMaxx (TJMaxx in the USA). Here's a #FOTD with some of my favourite shades from Stila In The Moment Palette. I had Instinct on the brow bone and tear duct & Glance (beautiful purple) on the centre of the lid. I then added Improvise to the outer corner and Wonder to my inner third of the eye to make the look a bit softer and more wearable. To finalise and help blend the colours, I added Whim to the crease. I used sticky tape to create a sharp edge and finished the look with the purple eyeliner in the waterline, Whim and Improvise under the lower lash line and a winged liner (a rare thing for me). I personally love this look and I hope you guys like it too.